Stitches are like the first step of a new journey, they are a new beginning into the unknown. A work in progress becomes a companion as it travels with me through my life, it presences triggers conversations, which wouldn’t have happened if had I been in the same place empty handed. Wool fascinates me, the link to history and presence, to warmth and comfort, the feel, the touch and the smell of it. Natural wool, if sheep are kept in good husbandry, with respect to the animals and the land is a sustainable and renewable material. I am exploring this wonderful material as the basis of my practice. Hand making is to me an integral part of being human, finding contentment in slow processes which are a welcome and a sometimes necessary antidote to the fast paced life of modern 21the century societies. 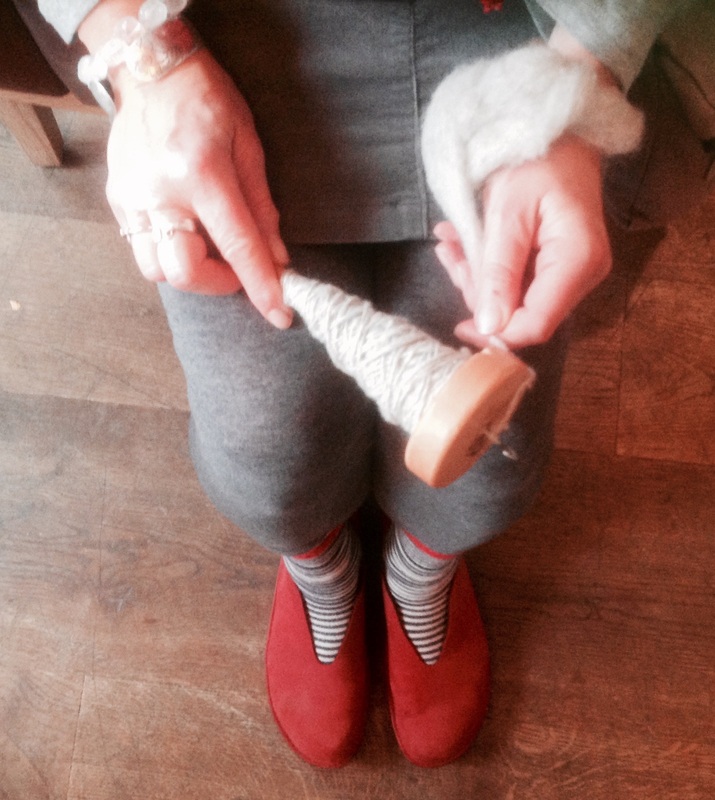 Wellbeing is becoming the inner core of my practice, the intent behind the activities of spinning, carding, knitting, nalebinding, and crochet.